ALBO-SPINDLE: Recycle CD / DVD Spindles! ALBO-GROW BOX: SIP Planter on Steroids! Are you looking to combat severe drought using water conservation in your garden? Do you need to grow in a spot where you have literally NO soil? Or do you just want some really huge vegetables that are easy to grow??? Self-watering (wicking) beds or containers are a great solution. A DIY self watering garden is a water-wise system that will conserve water while growing huge plants! Gardening with sub-irrigation is the process of watering plants from below the soil line. Through capillary action, the water then slowly rises upwards. For the process to work, the soil (potting mix) cannot be too dense or compact. It must contain air spaces that the water molecules can cling to as they rise. 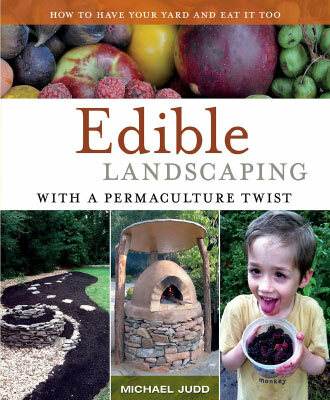 See SOIL for help with the proper ingredients. 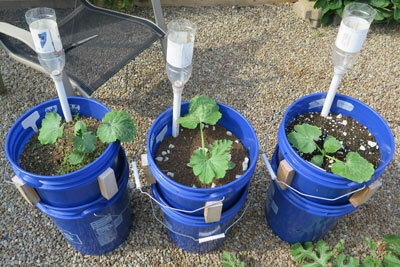 This demonstrates the basic principles of a DIY self-watering / sub-irrigated container. The water-reservoir is what makes the SIP such an asset to urban gardeners. Such a planter might be sub-irrigated only. A plastic cover would be placed on top of the soil to hold in moisture & prevent weeds. But if the cover is left off, then the SIP could be top-irrigated in addition to sub-irrigated. If it rains, that rain would be captured. Excess rain would filter down through the potting mix and into the reservoir. This latter system would mimic (on a small scale) what we see happening everyday on our planet. The surface of the Earth is riddled with massive underground water pockets. This water (known as an Aquifer) consists of permeable rocks that are saturated with water, like a sponge. Aquifers can feed springs, streams, lakes and wells. They can also supply water to plant roots if those roots are near the capillary fringe. The soil in a capillary fringe (which is above the water table) is kept moist by water that travels vertically due to capillary action. The Earth's crust is full of Aquifers that act like large-scale SIPs. 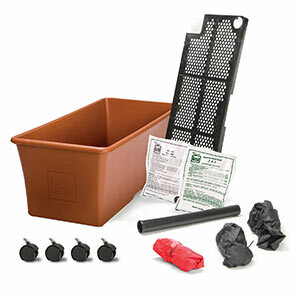 Learn about watering SIPs & how the aeration screen works. SIPs vs HYDROPONICS? 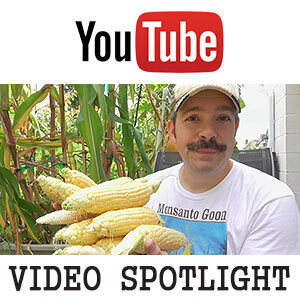 Sub-irrigation is not the same thing as hydroponics. It is not some sort of passive hydro system. Plants grown through "Hydroponics" receive all of their nutrients from a water solution. The soil is inert and provides little more than physical structure. The term "Sub-irrigation" describes a method for delivering water. A hydroponic setup might be sub-irrigated or it could easily be top watered instead. Your SIP system is also hydroponic, if you are feeding your plants with a complete nutrient solution. The annual veggies in this garden were grown in self-watering containers! SELF-WATERING? 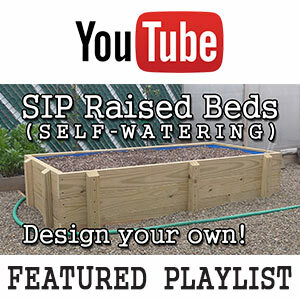 Sub-irrigation or wicking systems are often marketed as "self-watering". Some people feel this is misleading terminology. To be truly self-watering, the system should store water and automatically add more upon demand. The process works even when you're away for a time. I've seen SIPs that include a float valve which recharges the water reservoir automatically. Such systems truly are self-watering! Technically a gardener could devise a "self-watering" system that isn't sub-irrigated. Is a sprinkler or soaker hose considered a self-watering system? What about an electronically controlled ebb & flow set up? Technology has advanced to the point that electronic moisture sensors can send a signal to a computerized water timer which then activates your watering system as needed. But SIPs are the ideal solution when dealing with containers. The water reservoir is placed directly below the soil container, merging it into a self-contained system. You water the reservoir (sub-irrigation) then the soil or a piece of fabric "wicks" up the water (self-watering) as needed. An air pocket separates the soil and water, allowing the roots to receive oxygen. It might seem complex, but trust me, this is easy gardening! Self-Watering Veg Plntr 25.5L x 13.5W x 13.5H 2 gallons 11 gallons 11"
EarthBox (mfr) 29L x 14W x 11H 3 gallons 15 gallons 7.5"
City Pickers (mfr) 20L x 24W x 9.5H 2 gallons 11.2 gallons 6.75"
Garden Patch Grow Box (mfr) 28L x 14W x 12H 4 gallons 9.5 gallons 7 - 8"
30 Gallon Growtainer 30.5L x 20W x 17H 3 gallons 25 gallons 11.5"
WHAT IS THE DEPTH OF THE GROWING MEDIA? This will have a large bearing on the types of vegetables you can grow. Don't expect to grow 8" carrots in a City Pickers that only gives you 6.75" of space. WHAT IS THE SOIL SURFACE AREA OF YOUR SIP? A self-watering container with more surface area, might be a good choice for lettuce, spinach or strawberries. WHAT IS THE SOIL CAPACITY OR VOLUME? Larger plants like tomatoes will need more growing medium to reach full potential. Also, plants that are heavy feeders may deplete the nutrients too quickly. Those questions are probably a lot more crucial than the question of water capacity. A 2 gallon reservoir versus a 4 gallon won't have any impact on the productiveness of your plants. Of course, it might permit you to take a longer vacation without worrying about things drying out. Understandably, a larger reservoir will appeal to those "plant it and forget it" types. 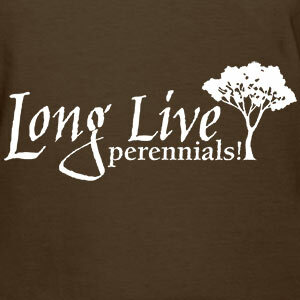 However, a vigilant gardener will still want to be outside looking over his or her plants each and every day. This is an example of a typical DIY SIP potting mix. This sample recipe contains Peat Moss Coir Vermiculite Perlite and Pine Bark Mulch. Your potting mix formulation is absolutely critical if you hope to find success with your sub-irrigated planter. The above chart shows an example of a potting mix that should do well for SIPs. This merely shows the type of components and a basic ratio for mixing them. There are many possibilities. The key is to select base components that are intended for container use as a potting mix. You can start with a retail potting mix and enhance it as desired. Or simply mix your own from scratch. At one point, EarthBOX had compiled a list of approved mixes. Their recommendation was "a peat-based (70%-80%) growing media that contains perlite or vermiculite. It should be light and fluffy when dry, and spongy when wet. It should NOT contain any rock, clay, or sand. You should also avoid using topsoil or compost." The basic idea here is that you're constructing a mix that will effectively wick moisture to a vertical height of at least 14" (peat moss or coir). However, that same mix must be porous so as to provide proper aeration to plant roots (perlite or growstones). Also you should have enough drainage for excess rain water to escape down into the water reservoir. Are you wondering how to fertilize such systems? Should you use compost? Read my multi-page article explaining the ins and outs of fertilizing SIP planters.